My interest in the spiritual energy of minerals led me to the art of silversmithing which became a medium I used to teach about the Native culture. The unique designs I handcraft are an illustration of the knowledge and the teachings of the Native culture that I carry. The “Good Medicine Sterling Silver Jewelry” that I create expresses the genuine healing energy of the precious and semi-precious minerals that I use. I am a self-taught Native flutist whose desire to find my musical voice was influenced by “Natives”, a collaboration between Peter Kater and R. Carlos Nakai. 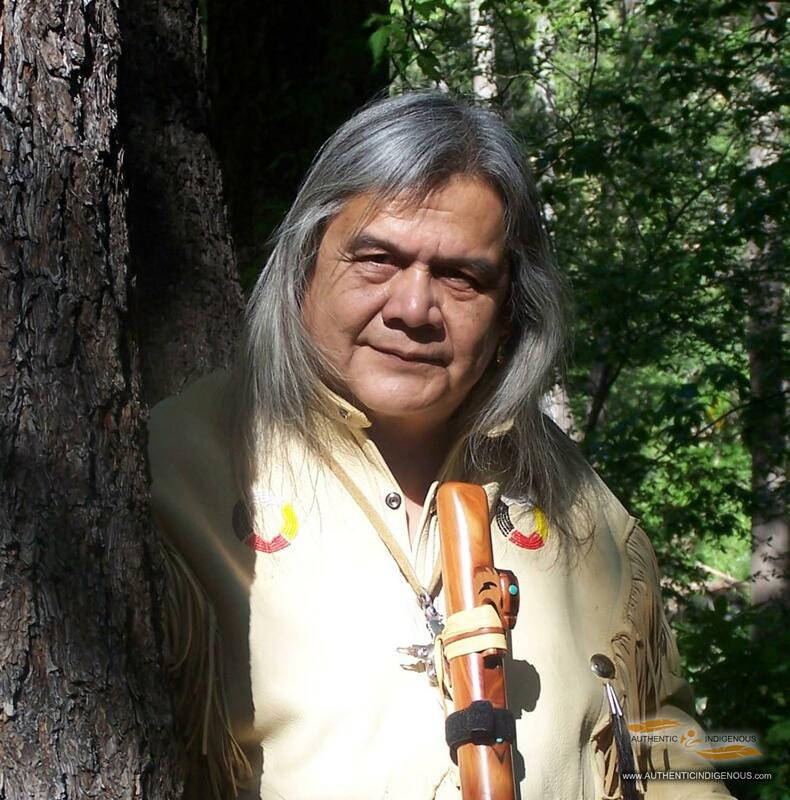 I am inspired by the people who experience my music; I have been told that, when I play the Native flute, the ancestors of those I play for come to hear the music. I feel the music of the Native flute is a universal language that relaxes the body and soothes the soul. The “Good Medicine Sterling Silver Jewelry” and the Native Flute music are mediums through which the Universe heals the human being on his/her earth walk. My involvement in sports throughout my growing years led me to graduate from the University of Alberta with a Bachelor of Education in Physical Education. However, my spiritual connection was reinforced when, as the President of the Board of Directors for PICSS (Plains Indian Culture Survival School which was one half cultural and one half academic), I connected with a spiritual healer from Manitoba who became my first teacher. It was through this man that I became a Pipe Carrier.